Do your jobs require security clearances? 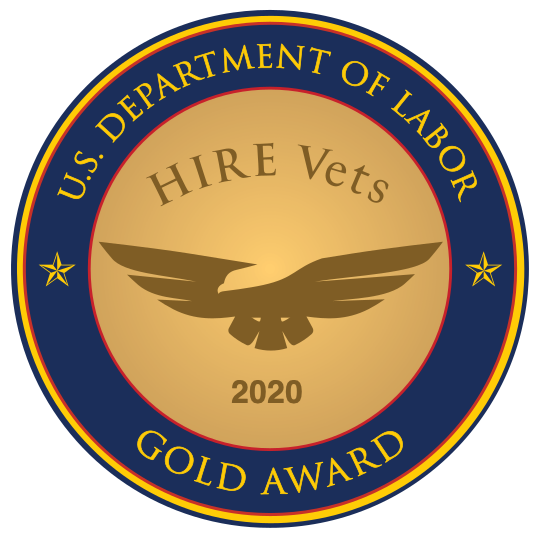 Hit the easy button by hiring veterans to fill them. Five million Americans hold active clearances, and more than 100 federal agencies require security clearances for areas of their work. According to recent articles in Forbes and The Washington Post, the government can’t keep up with demand. There is a large backlog of security clearances and re-investigations at the Department of Defense. The Post reported that the National Background Investigations Bureau had accumulated a backlog of 570,000 applications. Military Times estimates it at closer to 690,000. The government recently decided to stop reporting the size of the backlog and has stated a goal of 90 days for processing clearance. But that goal is falling far short of the reality. Delays are causing headaches for government contractors, who can’t fill key positions and who have personnel on their payrolls who are unable to work on sensitive projects. The toll is estimated in the billions of dollars, according to the Post. One contractor told Forbes in April 2017 that 72% of the clearances it has requested since January of 2016 were still awaiting initial clearance determinations. Another contractor reported 75% of its requests for background checks or periodic re-investigations were still pending after 18 months; 10% were still pending after 24 months. Military Times stated there were approximately 50,000 requests for clearance checks received on a weekly basis last year, with only 7,000 personnel assigned to handle them. Investigations also take longer if applicants have lived or worked in several geographic locations or overseas; traveled outside of the United States; and have relatives who have lived outside of the United States. Epic wait times are making employers desperate for cleared applicants who can handle classified information. Clearances are often good for two years after a service member separates from the military. By hiring veterans who already have security clearances, companies can sidestep the cost and time associated with initiating the clearance process from the beginning. Confidential, secret and top secret, the most common clearances, must be reinvestigated every 15, 10 and five years, respectively. In addition, veterans who have been granted a clearance often conduct themselves more carefully - they must watch what they do and who they do it with. “Once you have a clearance, you certainly don’t want to lose it,” remarked one veteran. Veterans coming out of the military with clearances stand to save companies lots and lots of money. And often the clearance transfer process can be expedited with veterans. That means they can jump into their new roles without missing a beat. As opposed to Washington’s current backlog, that means everything to a company’s bottom line.